Silversands is proud to be a partner with Nintex. In the specialised field of workflow automation, they stand out as leaders with powerful products and unmatched support. They support us with many Office365, SharePoint and Azure Projects. 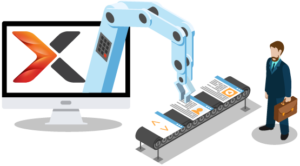 Digital workflow and content automation replaces manual and paper-based processes by integrating tools, automating hand-offs and replacing other repetitive tasks. An emerging discipline tied to the larger trend of Digital Transformation, digital workflow and content automation (WCA) transforms business operations by replacing manual and paper-based processes with digital workflows, automated document generation, and real-time process analytics. It is a key step on the path to becoming a fully digital business. What can workflow and content automation do for my business?